They've always called him Lucky Jim, although there's not many parallels between Jim Doyle's life story and the Kingsley Amis book which provided his nickname. In Amis' 1954 campus novel, the comedy came from the severe misfortune experienced by a put-upon university lecturer until his luck miraculously changed. The way Doyle tells his own story, it wouldn't make much of a novel: there's been good luck, good luck, and more good luck in the tale of how a working-class Scottish electrician's apprentice became a millionaire businessman, then second-in-command of one of world sport's most powerful competitions, and now the chief executive of the Warriors rugby league team. "I've always said I must have done something really good in a previous life," says Doyle, "because I've been really lucky in this one." Doyle isn't afraid of a suitably Presbyterian aphorism, so as he might say: hard work brings good luck. After all, at 53, thanks to his part in a management sell-out of sat-nav company Navman to US investors, Doyle doesn't actually need to work again. But he tried that, and he didn't much like it. "I went from working 16, 17, 18-hour days, to waking up on Monday, looking at the calendar, and seeing I had a meeting Thursday," he says. "And all my mates would be working, so I would get up Monday, go play golf by myself, and then get up Tuesday and think 'What will I do today?' . . . I got a bit bored." 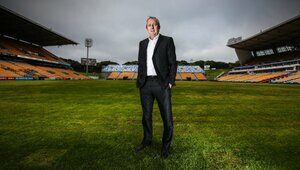 And so he reinvented himself as a successful sports administrator, and now finds himself working those long hours again, this time in a concrete office beneath the main stand at Mt Smart Stadium. It's a long, cheerful way from Scotland. It fits entirely with one of two sayings, handed down by his grandfather, by which he lives his life: "If it's to be, it's up to me: you get nothing for nothing." It all began with darts. At 15, Doyle was a champion darts player in his working-class home town of Livingston, just outside Edinburgh, where his father worked in a tractor factory and his mum in a biscuit factory. He stayed on at school when many of his friends had elected to leave and sign on, but only until he found a job. There were 252 applicants for his electrical apprenticeship, but the boss was a darts player and wanted the young Doyle on his team. That was the first significant dose of luck. After that, you could argue he made his own. He wasn't, he says, a big reader or particularly academic; he played a lot of sport. But perhaps he had an entrepreneurial spirit that set him apart: in school holidays, his dad would drop him at the golf course, and he would forage for lost balls until he had enough to sell back to the pro shop in exchange for a round. If he had time afterwards, he would hunt for more to pay for a pie and a Coke. "I don't know if I realised it at the time, but I always had some desire to do better," he says. "Certainly, I knew at an early age there had to be somewhere better to live than Scotland. But I have no idea why." So four years later, apprenticeship done, 21-year-old Doyle decided to emigrate to South Africa, despite knowing nobody and having nothing lined up. He's hardly been back to Scotland; instead his parents - now separated - make regular visits. South Africa "was the land of opportunity back then. It was where do I go to try to find something else?" He took a month's leave and flew over, within a week finding a job, a flatshare and securing a work permit: he phoned his parents to tell them, and his employer to quit. Night school saw him through a business degree, hard graft from assistant production manager to production manager to general manager: "Opportunities were plenty, if you showed a bit of initiative and drive and energy - and I would say I was a hard worker." He married an expat Englishwoman, had two daughters, but realised he didn't want to grow old there or see his girls grow up there, so in January 1994, from a shortlist of Australia, Canada, America and New Zealand, they came here. At 34, the move was tougher - this time he had plenty to lose. So he treated it as, worst-case scenario, an expensive year's holiday. But he quickly got a job as the general manager of a car-stereo business, then met the technology entrepreneur Sir Peter Maire, who offered him a job at his fledgling but fast-growing Auckland company, Navman. It was a paycut, but a shareholding was on offer. That changed everything. "For me, these things happen once in a lifetime - for most they never happen," he says, thoughtfully. "Yeah, definitely: Lucky Jim [again]." The business grew from $3 million to $500m, he says. They were selling fish-finders and sailing instruments, but they developed a sat-nav system for boats knowing it could transfer to cars - they were the first into the car market and grew rapidly worldwide. In 2004, Maire, Doyle and chief operating officer Steven Newman sold up to American company Brunswick for a reported $108m. The trio committed to stay for three years, did their time, and left, alongside a flurry of senior staff amid reports of a culture clash, with Doyle telling the New Zealand Herald he wanted a break from working 17-hour days. That didn't last long. "I would have survived financially: but I would have gone nuts," he says. The idea of semi-retirement, taking a few directorships, whacking a few golf balls, soon palled. Just as he began thinking about getting another job, the headhunters called. 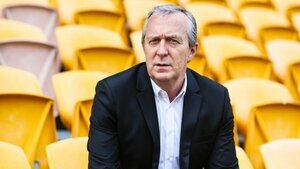 He'd never, despite his sporting obsessions, considered the sports industry, but he was intrigued to be asked if he was interested in becoming chief executive of the deeply troubled New Zealand Rugby League. He did some research, he says, "and I realised the NZRL was pretty broken". But, he says, he also realised that league had a significant impact on society's most vulnerable and that here was a chance to do some good. "Through sport you can effect a lot of change and have an impact on so many people. And I thought I couldn't stuff it up more than it was." So he wrote an entire strategic plan for the game ("More than a Game") and showed it to the board. They gave him the job. It was, he admits, another decent paycut. "But it wasn't about the money." That strategic plan, presented as a series of interlocking pieces which had to turn from red to green to show progress, earned him the tag "Jigsaw Jim" but also a lot of respect within the game. 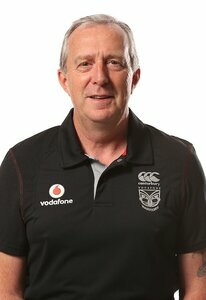 Former Kiwis coach Graham Lowe, who was a senior NZRL administrator before Doyle arrived, observed: "He demonstrated good leadership, and I think he got well-deserved respect, which in our game is probably the most difficult thing to do: most league fans would boo Santa Claus." And Doyle went back to big days. "There was so much to do. And you get nothing for nothing." He would, he says, leave at 5am for a morning meeting in Rotorua, then drive back for an afternoon in Auckland and take some work home in the evenings. "But you don't do things like that if you don't like it." The second saying from his grandfather - "choose your attitude" - came into play. He was positive enough to believe he could make a change. He did. Sponsors returned, credibility grew, they made profits, grew numbers. 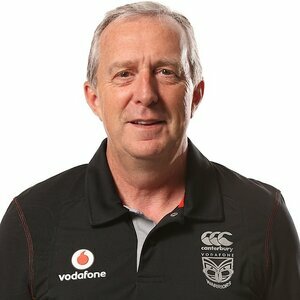 Doyle is cagey about the state of the NZRL now. He's surprised at the staff turnover - almost all his team have left headquarters - "but I am not quite sure what happened. I have got my opinions, but I am not going to be quoted". He quit with a year left on his plan, he says to allow his successor time to write the next one. Again, he dabbled in semi-retirement, joining boards and consulting to Sport New Zealand, who had made Doyle their Sports Leader of the Year. At first, he rejected a job with the rich, powerful Australian National Rugby League, governing body of the game there and of the 16-team competition in which the Warriors play. Then the NRL embarked on a major restructure, brought in British banker Dave Smith as chief executive, and Doyle was persuaded to become his deputy. "My wife and I said, 'At some point we will say, I wish we had gone to Sydney, I wish we had given it a go.' So we thought, 'Let's have no regrets.' "
He went at first with just a suitcase, and was always clear it wasn't a permanent move, much as he loved the gig. His wife came, but his grown-up daughters (27 and 22, teacher and banker) didn't, instead moving back into the family home in the East Auckland suburbs. "Jim Doyle was someone who got things done," says Brad Walter, chief rugby league writer of the Sydney Morning Herald, citing reforms of the salary cap, establishing an Integrity Unit to deal with wayward players and instituting mandatory testing for prescription drugs. For non-sporting readers, the NRL is a big deal. "Unbelievably. It really blew me away: the coverage the All Blacks get here is nothing in comparison to what rugby league gets there . . . a media conference you have 20 cameras and 30 reporters all in your face." 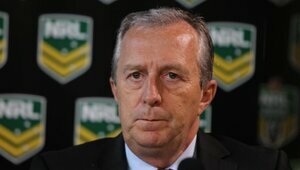 He often did: as chief operating officer, he was the NRL's pragmatic fireman. "For me, in business, you set a strategy and try to spend 80 per cent of your time working to try execute that strategy and 20 per cent you are reactive to what happens. There, you could have three days planned to do all sorts of things that are positive for the game and end up doing none of it because something has happened you have to react to." His golf suffered; he managed only three rounds in two years, although one was a pro-am round with Rory McIlroy. How it worked, says Doyle, was that the NRL's communications director John Brady would call, early morning, and tell him what had happened. His phone, he says, never stopped. He recalls the day that photos emerged of Todd Carney, a talented but serially wayward player for the Cronulla Sharks, apparently urinating in his own mouth. "I woke up early on a Sunday morning, 5am, saw this picture and thought, 'No. I can't believe it. This is going to be an interesting week.' "
Doyle drove an increase in the severity of penalties for misbehaving players and believes it's had a real impact - while we may read about more cases, it's because none are hidden any more. He explains: when a Newcastle Knights player, Alex McKinnon, was paralysed in a tackle, the NRL dedicated a competition round as a fundraiser for him. They spent time, money and effort on marketing it. "We do surveys all the time. Sixty-six per cent of people in Australia and New Zealand knew about Alex McKinnon round. Todd Carney 'bubbled', we didn't spend any money on promoting or marketing it, and 88 per cent of people in Australia and New Zealand knew about it. 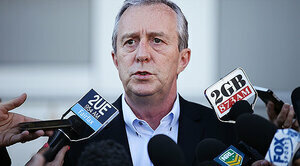 So that's what people think of rugby league players, so we have to change that perception." 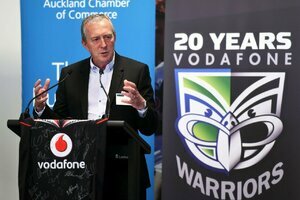 After two years, Warriors owner Eric Watson came to Doyle, and offered him the chief executive's job. A former season-pass holder, it was an easy offer to accept. Focusing on one club instead of 16, Doyle hopes he can "pick the eyes" out of what the others do best. He's measured - no, he won't make any outlandish declarations about winning premierships. 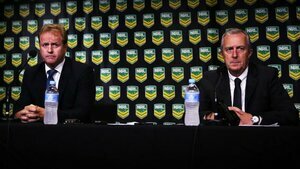 "No, the NRL is the toughest competition in the world." But, he says, the top-eight every year is a reasonable minimum and they should be pushing for the top four too. He says the brand is strong, but the club perceived as a rollercoaster, so he wants more stability: more regular crowds, bigger membership base (they have 10,000, South Sydney has over 30,000). A regular CEO is measured on his balance sheet and earnings per share; Doyle could conceivably turn a $10m profit, come 16th and be adjudged a failure. Being measured on something outside his control, "that's part of the job" and indeed any business. He says he's operating the same rule as regular business: get a good team around you. That's why he cleared out the coaching staff in the off-season, except for head coach Andrew McFadden, and surrounded him with more experienced personnel. Already, says Lowe, who once part-owned the club, he hears Doyle is making an immediate impact internally by demanding the club aims not to finish top eight, but to win the competition. Doyle would never go back to business, he thinks, but when his work is done here, he may finally be ready for that semi-retirement. If he were starting out in business now, he thinks, he wouldn't have got as far as he did. The Lucky Jims these days need at least a good first degree. "I'd be lucky to have got my first job now, let alone the ones I have had along the way," he says. "I think that's a bad thing. You've got to get the right mix . . . I've moved four times, that gives you a different life experience that you don't get from a book or qualifications." When he sizes potential employees up, the CV can be a secondary consideration. "You can get a sense as to people's values and their attributes: are they going to be working hard . . . or are they hard work."